The tournament kicked off at 9am and ended at 1pm for lunch and awards. This year’s winners received cash prizes and every player also took home a case of ’66 steps’ BBB’s latest beer as a personal gift from the CEO, known as ‘Jimmy’. 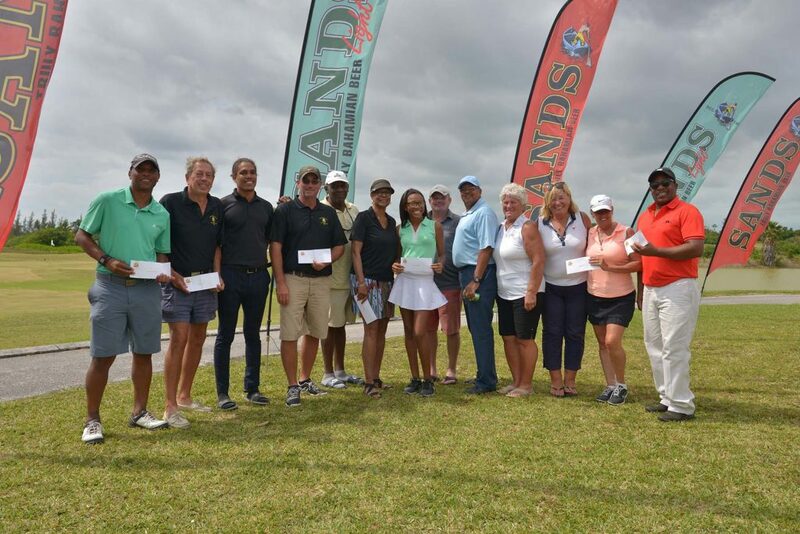 Results of the day were announced with the men’s awards going to: 1st net – Marcus Gouthro/Allan Gardner (54.6); 2nd net – Martin Brent/Otto Fountain (54.9); low gross, Allison Stuart/Elvis Butler (71), longest drive – Nigel Kirkby and closest to pin, Wayne Boyd. The lady’s awards went to: Low Net – Mireille Lods/Sue Urban (56.2), Low Gross – Kyndall Campbell/Joyce Harrison (78) with Longest Drive going to- Cheryl Triland and closest to the pin, Kyndall Campbell also the youngest competitor in the tournament.